We called her Jazzy and she was such a sweetheart! Lochinvar Portrait of a Lady was a big girl, standing 12.1 3/4 hh. This is surprising as both parents were 11.3 hh + a smidge. Jazzy was very athletic and we enjoyed her talents in a variety of venues. She won Championships in the English Pleasure divisions, Driving, and as an Equitation mount where she and Emily Ferris were 4th in the nation in 2008. Jazzy was so busy being used that she only sat out one year to have a foal. 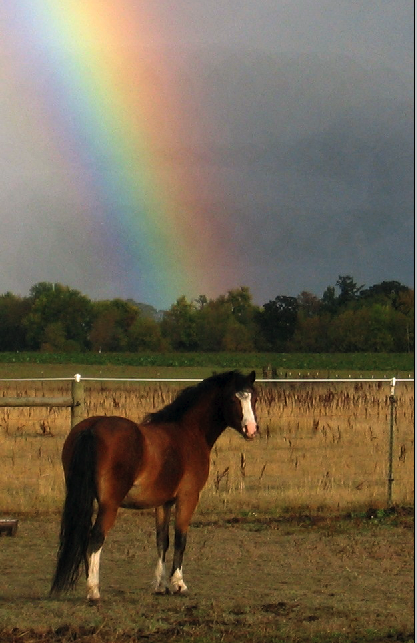 In 2006 she presented us with the outstanding colt, Lochinvar Leading Man, who is now our herd sire. Mostly, we loved Jazzy for her ultra-kind personality, affectionate ways, couragous heart, and huge whinny that greeted us every morning. Her legacy lives through her son and grand-foals. She is greatly missed. Jazzy was co-owned with Emily Ferris who was her very capable handler and rider. Jazzy and Emily were truly a team. Photo taken when Jazzy was Supreme and Reserve Supreme at the gold rated OWPS Fall Show in 2009. The day Jazzy was born, our daughter Allison exclaimed, "Oh Mom! You've got a keeper! This one is going to be your Supreme Champion!" How right she was! Jazzy more than fulfilled those early declarations. 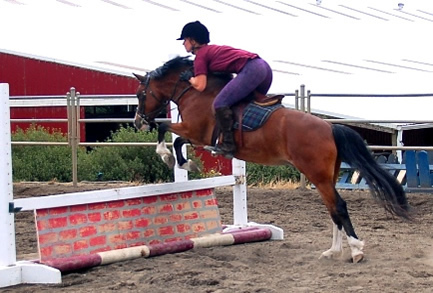 Jazzy was a nifty little hunter pony and great fun to jump! Jazzy and Emily were featured in a photo shoot by our professional photographer friend, Karen Ulvestad. 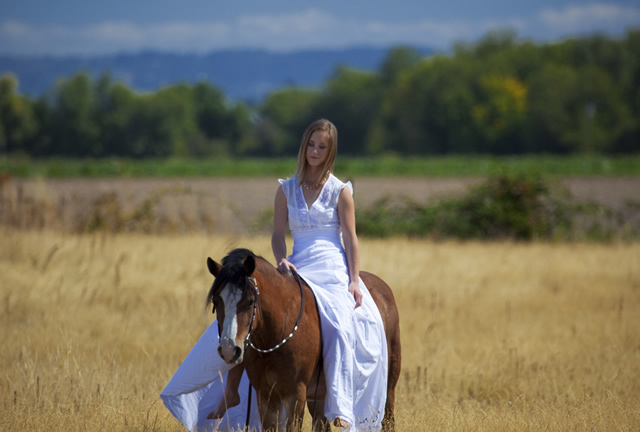 Karen took some magical images that evoked romance and a fairy tale quality.